Spontaneity can be a blessing and a burden. It can lead to amazing adventures that you may otherwise reason away… and it can find you tired, bleary-eyed and staring at headlights after 14 hours of driving. Spontaneity can apply the pressure that comes from a lack of planning, but also give you freedom from pre-conceived expectations. 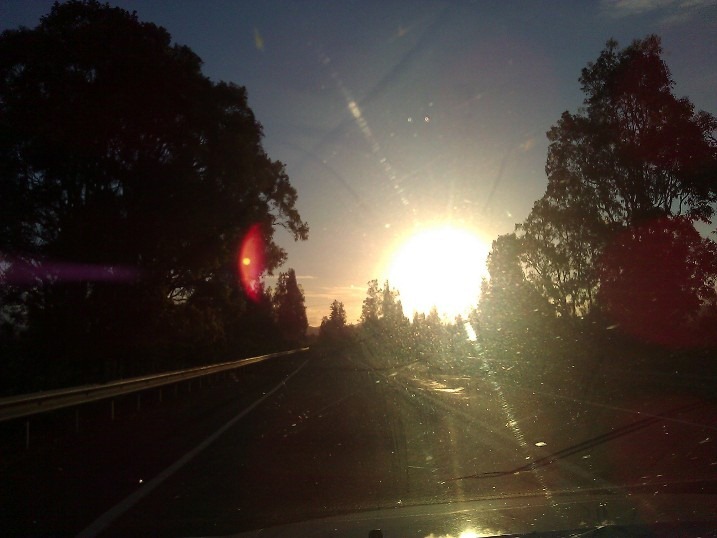 I discovered all of these consequences this weekend after spontaneously deciding to drive 1122km from Brisbane, Queensland to Wollongong, New South Wales (NSW) – and then back – to see my nan before heading to Europe for months. It was a worthwhile trip just for seeing my family, but it also offered hours of thinking time, kilometres of country NSW sights, and an opportunity to sing at the top of my lungs with the windows down. 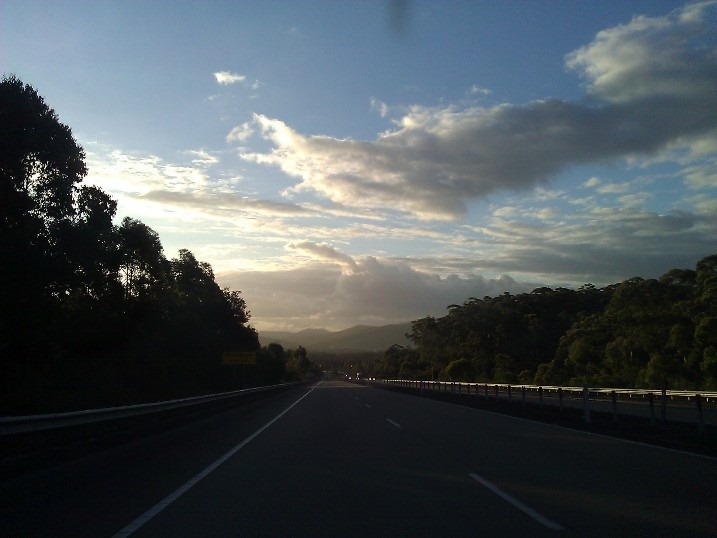 It occurred to me somewhere around the 800km mark (south-bound) that the Pacific Highway is a large part of what many international travellers must see of Australia. I wonder, for them, what does this road reveal of our great country? Perhaps… wide, flat passages through paddocks and wetlands; kilometres of scrubby grey bushland; narrow bridges across rivers and creeks with amazingly logical names; lots of dead kangaroos and possums; odd letterboxes; unmanned vegetable and fruit stalls; processions of trucks that seem to all appear on dusk; and quaint rural towns offering tea, scones, antiques and locals wearing singlets and thongs. I was glad for the chance to review the east coast highway before heading to Europe. This road, which has improved notably in the past ten years, is tangled up in my childhood memories of road trips at Christmas, travels during uni break with friends, and drives to camping retreats hidden between coastal headlands. A little town called Ulmarra NSW, near Grafton. It has book stores, well priced antiques, a pub on the river and clean toilets for a quick rest stop. The weird house at Woodburn, NSW, that has a front lawn, roof and gardens covered in an assortment of fake birds. Keep an eye out – I’ve never seen anything like it. The view of a night-lit Wollongong next to a black ocean as you drive down Mount Ousley. The winding, fig-tree lined hills through Byron Bay and Newrybar, NSW. The multi-coloured lights of Brisbane as you drive in at night, across the gleaming white Riverside Expressway. 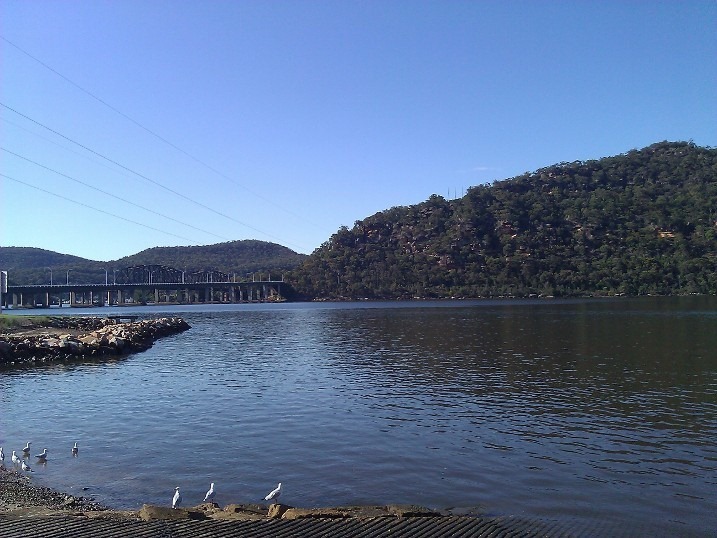 Ah…the expanse over the Hawkesbury – stunning!! It never fails to impress upon me how big Australia is! Thanks for reading Anita. 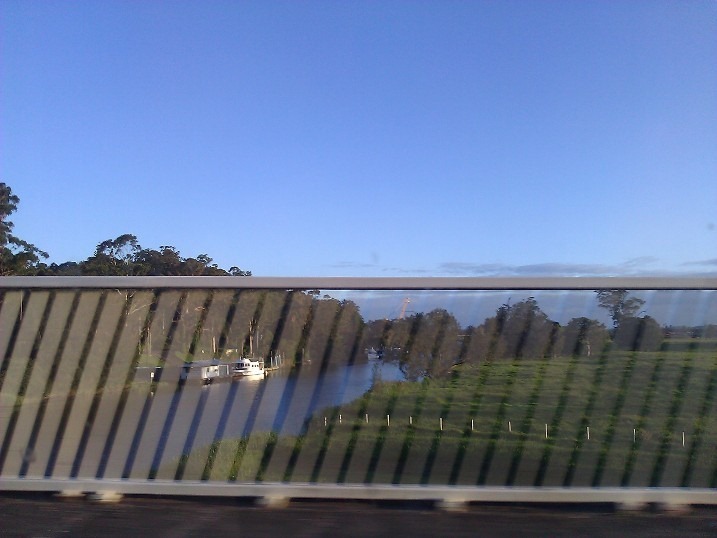 You are right – I always find myself driving across the bridge and wishing I could jump out and take it all in. 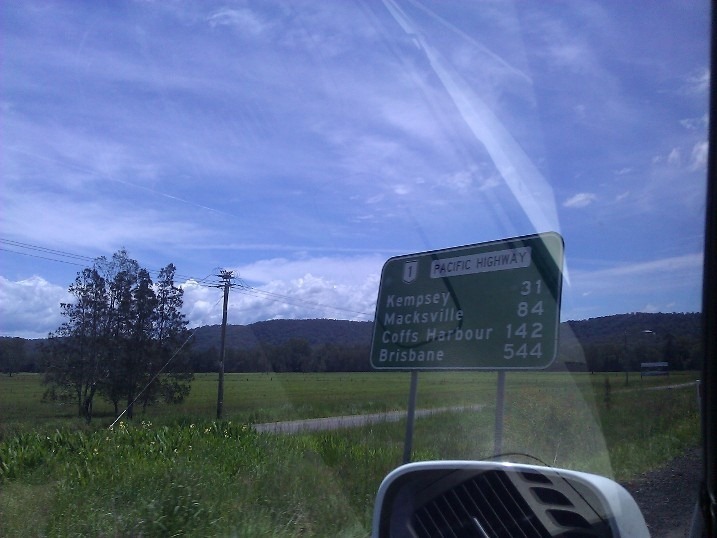 I have only been as far as Byron bay! I want to go further now! I want to see that house with the birds all over it!